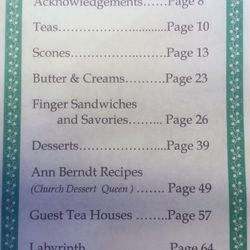 A delightful collection of recipes from our High Teas created to celebrate our 10th Anniversary of the Paradise Memorial Garden. 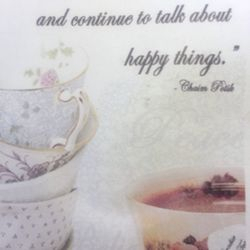 The Book of Happy Things present beautiful recipes, interesting Fun Facts to Know and Tell about teas and whimsical inserts to bring a little "happy" to your life! 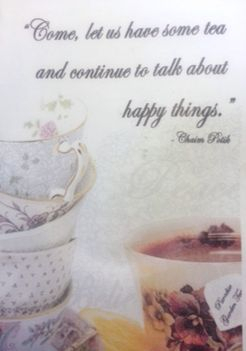 Order one for yourself and one for a friend- the Book of Happy Things makes an excellent, one of a kind gift. 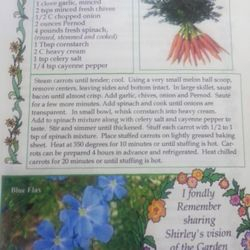 Click on the slideshow to the right for a preview! 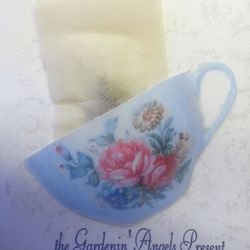 Only $8.00 each.....AND now includes the 2012 Nutcracker Tea recipes! A delightful, refreshing taste of chamomile, lemongrass and rosebuds ~light enough to go with any dessert. A perfect way to relax after a hard day in the garden. Non caffienated, bulk tea. Sold in decorative glass jars or ten individual serving tea bags. An aromatic Ceylon tea spiced with cloves and cinnamon with the zest of orange to brighten your morning! This caffeineted tea will start your day off right! Thank you for you order! You will be contacted soon for payment and delivery arrangements.